Modern dentistry offers numerous treatments for replacing missing teeth. However, only one such treatment provides comprehensive replacement of the entire tooth structure that can last for decades. Dental implants in Wethersfield may be the best way for you to reclaim your lost smile and get back to eating, speaking, and grinning with comfortable and confidence. 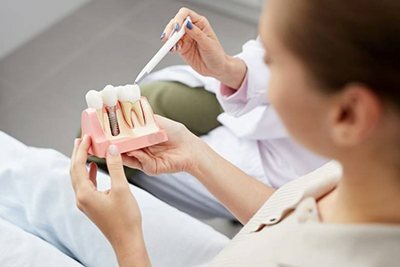 Both of our dentists are implant experts and would be pleased to recommend a treatment plan that can restore your oral health and maybe even change your life! 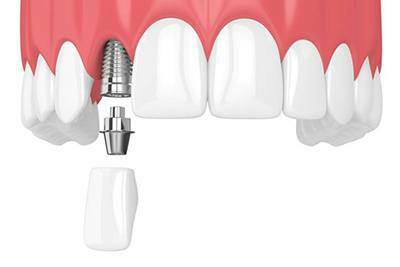 Since implants replace both the roots and the crowns of missing teeth, your new teeth will be very secure and provide you with a strong bite. With proper care, dental implants have the potential to last for 30 years or longer. They may even be with you for the rest of your life! If you are a good candidate for implants, there is a high probability that your procedure will go well. In fact, over 95 percent of cases are successful. Implants act similarly to natural teeth. They are both comfortable and easy to care for. Placing and restoring the implants probably will not require that any of your remaining natural teeth be modified. Implants also help to protect your natural teeth by stopping them from drifting out of place. Dental implants may be an appropriate treatment for you whether you are missing one tooth, several teeth, or even all of your teeth. 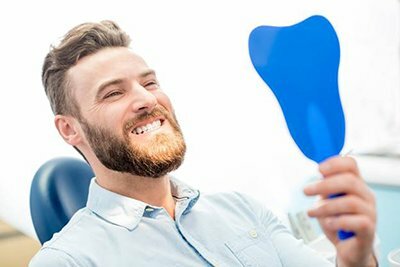 If you need to have just one tooth replaced, your dentist in Wethersfield may recommend that you receive a single dental implant. A single crown will replace the visible portion of your missing tooth. If you are missing several teeth in a row, an implant-suported bridge may be the best treatment for you. You may be able to replace three, four, or more teeth with just two implants and a single prosthesis. An implant-supported denture is often the ideal solution for patients who have lost all or most of their teeth. It usually takes between four and six implants to provide the needed support for a full denture. This type of prosthesis may either be removable or permanently fixed in place. Since every patient’s circumstances are unique, it’s difficult to provide a ballpark estimate of how much your restored smile will cost. Various factors, such as the number of implants needed, the extent of any preliminary work, and the nature of the implant-retained prosthesis, contribute to the total cost of the procedure. Although implants may seem expensive, they are a worthwhile investment! The long-term benefits they offer for your appearance and oral health make them an excellent value. To learn more about this amazing treatment, contact Dolan Dental today.